“Is that a vine?” My older son inquired. We were in our backyard on a muggy summer evening. Our two boys were jumping on the trampoline and I had just tugged another handful of unwelcome weeds from the yard when I heard Cole’s question. I knew the exact plant he was asking about. It reached like long green arms through the top of the medium-sized oak trees behind our home. I had recently noticed that particular vine invader all over the place – not just in our backyard – its relentless green fingers growing through the tops of the trees, peeking above even the tallest of the tall. If you drive the interstates in Florida, you’re likely to notice it as well. It can top lofty Florida pines and blanket sprawling oaks, this ruthless winding vine that is pleasing to the eye but ultimately deadly to the tree it covers. It’s called the kudzu vine, and it’s a common sight in parts of Georgia and Florida. Kudzu is native to Japan, and was introduced in the United States at the Philadelphia Centennial Exposition in 1876 for a variety of helpful farming reasons. Now, however, kudzu is recognized as an invasive species that will grow over anything in its path, whether it’s a tree, building, or vehicle. If you look up kudzu on the internet, pictures show the power of this pretty yet persistent green vine as it smothers everything around it, eventually killing what it has climbed because it blocks out life-giving sunlight. How like the cares of this present world kudzu is. Seemingly harmless, until those cares grow, and grow, and grow. Until they take over, blocking out His life-giving light and smothering the peace our faith in God assures us. Sometimes those cares are valid, in-your-face, painfully real…a terminal family member, a lost job, a forever-strained marriage…heavy vines that seem to grow nonstop. 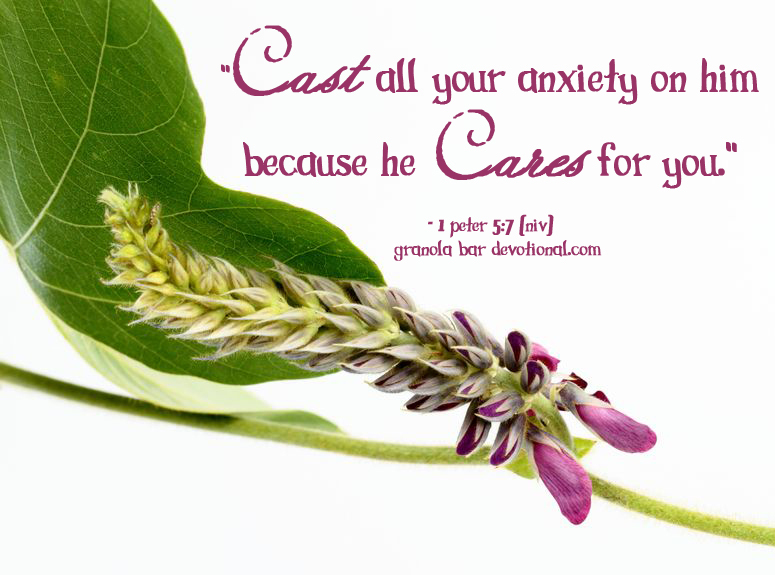 Worries that wrap and wrangle our hearts. But their winding, wrapping pain can’t negate God’s power or smother His grace. What a blessing that Jesus promises believers, “Come to Me, all you who labor and are heavy-laden…For My yoke is easy and My burden is light” (Matthew 11:28 & 30, NKJV). God has given us His Son and the Helper – the Holy Spirit – upon whom we can daily hand over our invasive vines of worry, to be cut off and uprooted in order to regain His light and His peace. Kerry, what a great piece! Kudzu is a perfect analogy for worries that take us over. Thanks!